Our father-and-son dental team welcomes you to their Streeterville dental office. Dr. Jordan J. Tilden and Dr. Zachary Tilden offer cosmetic and restorative dentistry to help patients enjoy their best smiles. We back-up our treatments with a commitment to ensuring natural, lasting results. Come to the practice that treats you like family! 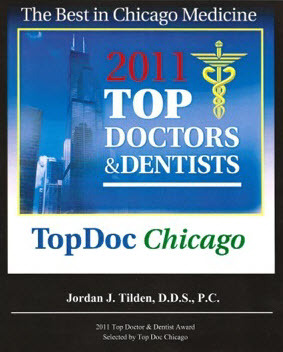 If you’re looking for a dentist near you in Downtown Chicago, contact us at Tilden Dental Group. You can also find our practice online through Facebook using the link at the bottom of the page. Our Mission: To make your wishes a reality by providing the highest standard of dental care in a state-of-the-art facility with a welcoming, informative, and relaxing atmosphere. Tilden Dental Group is committed to dental care that has a positive impact on your life. Whether you’re looking to improve overall oral health, or issues that require attention and restoration, we offer services to promote healthy teeth and gums for a lifetime. Most notably, both of our doctors are truly gifted when it comes to saving teeth when other dentists have recommended the tooth be removed and replaced with an implant. With additional cosmetic services that include tooth-colored fillings and teeth whitening, our team creates care plans that allow your smile to look radiant and healthy. Whenever possible, our Streeterville dentists work hard to preserve healthy parts of your smile and avoid unnecessary procedures. During your patient consultation, we take the time to listen to your goals, then educate you on available treatment options and your current oral health status. Our goal is to make a care plan that fits your budget, lifestyle, aesthetic desires, and timetable. We want to create a strong relationship with you and to ensure you have confidence in knowing you have everything you need to achieve a bright new smile! This is why our dental office also frequently hosts community service events to promote healthier smiles throughout downtown Chicago! The doctors also practice what's called "minimally invasive dentistry", which is a part of the contemporary preventative dentistry model. This is a new model that follows the dental research related to remineralization of our teeth. Did you know you can reverse small cavities? When the doctor sees a tiny cavity starting he will not always jump to place a filling, but instead will advise you of how to reverse that cavity yourself! Obviously not all cavities are candidates for remineralization though. Meet our Streeterville Dentists -- Call Us Today! Tilden Dental Group has proudly served our community in downtown Chicago for over 30 years. In decades of caring for patients, we have adopted an approach to dentistry that is gentle, minimally invasive and considers patients as vital parts of the process to save their teeth. At Tilden Dental Group, we work in partnership with you to cooperatively support your oral health. If you’re looking for lasting cosmetic dental care and restorative dental services, our trusted Streeterville dental office is here to help! Contact Dr. Jordan Tilden and Dr. Zachary Tilden today to schedule your next appointment or consultation. We gladly serve patients from nearby Chicago neighborhoods including Gold Coast, Old Town, and River North, Illinois!